Yesterday at GITEX Technology Week in Dubai, BlackBerry announced the Motion, an all-screen smartphone with a massive battery. Made by TCL under the BlackBerry Mobile brand, the Motion packs a 5.5-inch screen and running on a Snapdragon 625 SoC platform. It will also come with 4GB of Ram, 32GB of storage, and, it’s water resistant. This is the second device from the modern BlackBerry and is very much similar to the earlier released KEYone smartphone that came with a keyboard under a touchscreen. However, the newly launched Blackberry Motion is a pure touchscreen smartphone and it’s clearly just for BlackBerry’s core customers as the company largely left hardware in the past. 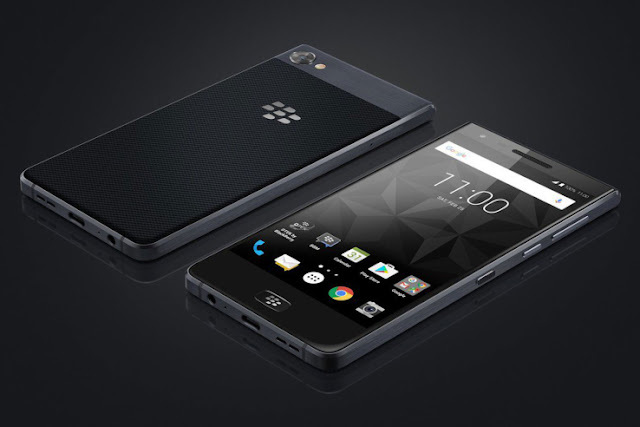 BlackBerry, the company formally known as Research in Motion, sold its handheld branding rights to TCL, which is the company behind this phone. BlackBerry proper is making a comeback as a software vendor by focusing on security, and its latest quarterly earnings report suggests the pivot is working splendidly, exceeding the Streets earnings expectations. The company also reported record gross margins of 76 percent up from 67% last quarter and 62% a year ago.